There is no talk of pro-agrarian development agenda because the RSS-BJP rules the nation only for the well-being of sadhus and sanyasis. The Indian farmers, who produce food for this nation’s survival, well-being and development to usher in Achhe Din for all, are samsaris who have wives and children to feed. They are not sanyasis or semi-sanyasis like the leading members of the Rashtriya Swayamsevak Sangh. They have to produce food, not just for themselves, but for the whole nation. And their problems during the four-and-half-years of the BJP-RSS government have doubled. Demonetisation denuded their bodies and de-cropped their fields. The ever-hiking privatised petrol and diesel prices threaten not just their survival but the survival of the nation — including the nation of Hindutva nationalists. Let us not forget the fact that this is, in fact, a full-fledged RSS government which is being run by Swayam Sevaks of “nationalist” belief and commitment. 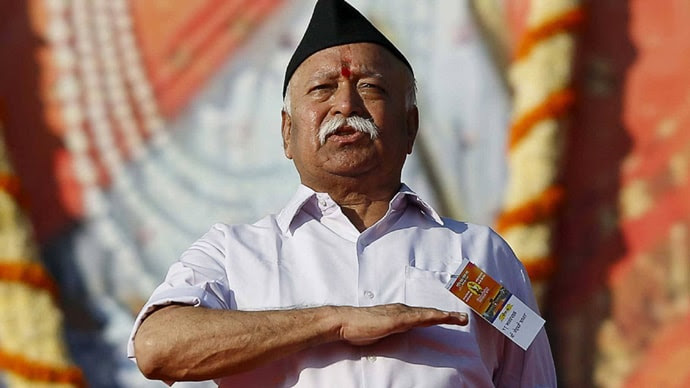 Mohan Bhagwat, a brahmachari, is in real control. Narendra Damodardas Modi is a married man but living the sanchalak life (without wife and children) and Amit Anilchandra Shah, is a Jain shakahari, who comes from a background of treating and tilling land. These three leaders are running the nation. They control the army and the police — with the use of which, the samasari farmers were shown their non-violent Gandhian power on October 2, 2018 in Delhi. The RSS has never pledged before the nation that it believes in Gandhian non-violence. It has never conducted Champaran-like of farmers’ movements in its entire existence. Neither Mohan Bhagwat, nor Modi and Shah can cite a single example, in their lifetimes, that they fought for farmers’ improvement. They have conducted several agitations to build new Mandirs (like the Ram Mandir in Ayodhya, after demolishing the Babri Masjid). They have conducted movements to improve the living standards and conditions for sanyasis, sadhus, pujaris, and so on. The farmers marched from Tikait Ghat in Haridwar to Kisan Ghat (the memorial site for Chaudhary Charan Singh), New Delhi. And what happened there? Something that can be defined as an extremely non-violent act by the Neo-Gandhians. Hundreds of farmers were beaten with lathis. Water cannons were used to completely immobilise them. The farmers lost the turbans on their heads, incidentally near the Red Fort, where Modi sported a red turban and gave a pro-farmer speech on August 15, 2018. On the same day, the RSS-BJP’s pretentious celebrations of Mahatma Gandhi’s 150th Jayanti next year (2019) were going on in Delhi and Nagpur. This we must see in contrast to the preparations to celebrate the Allahabad Kumbh Mela of 2019 of sanyasis, sadhus, RSS sanchalks and Hindutva bhakts in Uttar Pradesh, who have never soiled their hands and produced a single grain for human survival. Some of them walk naked quite deliberately to increase the prestige of the nation, perhaps. The RSS would never object to such naked sadhu yatras, as it is seen as the Hindu Swabhiman Yatra. In Uttar Pradesh, the sanyasi chief minister, who had not found time for the mundane samasari shudra-OBC farmers was busy the whole time, supervising and preparing for the grand Kumbh. Perhaps, he never believed that farming, cattle-grazing in the fields (not in Goshalas) and food production from the fields was divine work. Do not forget the role of caste in this Hindutva belief system. 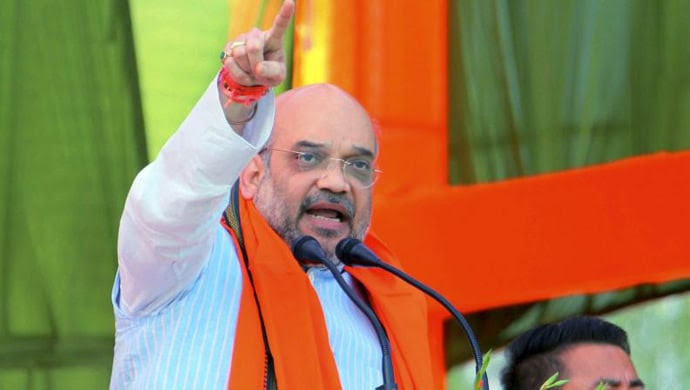 Mohan Bhagwat is a Saraswat Brahmin, Modi is an OBC Bania, Amit Shah is a Jain Bania, Rajnath Singh is a Kshatriya and Yogi Adityanath is a Rajayogi Kshatriya. All the top three Vedic Varnas are at the helm of the national guard in Delhi now. The RSS Dharma Shastra and Arthashastra tell them that farmers are not sacred people. 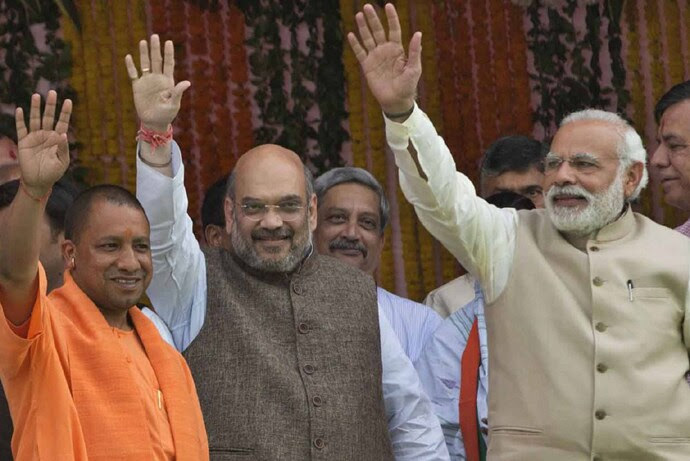 In the RSS-BJP bloc, there was no shudra-OBC in the top leadership. They are there for muscle within those organisations. Historically, the Hindutva thinkers philosophically treated the tasks of tilling the land, cutting the crop as the unworthy of upper castes – hence it was the charge of the shudra. The RSS has not altered this definition of shudra status even in the recent Vigyan Bhavan outreach and ideological re-positioning official function. “Shudras are characterised by their low order of refinement. For members of the caste, awareness is so dull that expansive or creative thoughts are almost nonexistent. Operating only on automatic responses, the shudra is always the effect of life and never the cause. The other castes of vaisyas(merchants), kshatriyas (warriors), and brahmins (priests) represent progressively higher levels of spiritual consciousness”. Further, it said that the “Shudra types are encouraged to work with their hands, avoid sloth, and serve more creative people. Naturally, shudras fall into the farming occupation. Since farmers are the ones in any social system most likely to work with their bodies, shudras are typically defined as farmers or peasants”. The RSS and BJP as organisations believe in this core philosophy. Assume that if there were to be cow protection rally from Haridwar by sadhus and sanyasis to Yogi Adityanath’s new Ashram called the CM’s camp office. Would there have been lathi-charge on them or the use of water cannons against them? The CM would have received them with folded hands and promised all things positive. Or imagine such a Yogi rally to Rashtrapati Bhavan and how the PM would have responded. He would have gone there with folded hands and promised them all things asked for. We know what the RSS-BJP leaders said when there was a lathi-charge in Indira Gandhi’s new regime in 1966, against the gau raksha rally (not Gopalan rally) of sanyasis. The RSS went after her and called her anti-Hindu. Of course, by lathi-charging against food producing farmers the RSS-BJP ruling forces have every right to think that they are fulfilling their ideological dharma. The RSS-BJP rulers think that they rule the nation for the wellbeing of sadhus and sanyasis. Structurally the RSS does not believe in samasari life as all its main sanchalaks are sanyasis. But what they should realise is that before Akbar, a liberal Muslim ruler, no Hindu ruler ruled the whole of present-day India. Except during the Ashokan period, who donned a pro-farmer avatar after becoming a Buddhist, there was no pro-agrarian development agenda. How do the Indian agrarian masses believe that RSS-BJP moves them on the path of development, the main harbinger of which in India is still the farmer?